MILAN – McDonald’s Corp. will be selling packaged coffee at its restaurants in Canada from next month, in a move that could spread to other regions around the world if successful. The world’s biggest hamburger chain says the ground coffee will be available in the majority of its 1,400 stores by Nov. 8. The packages will weigh about 340 grams (about 12 ounces) and cost about 7 Canadian dollars ($7.04). 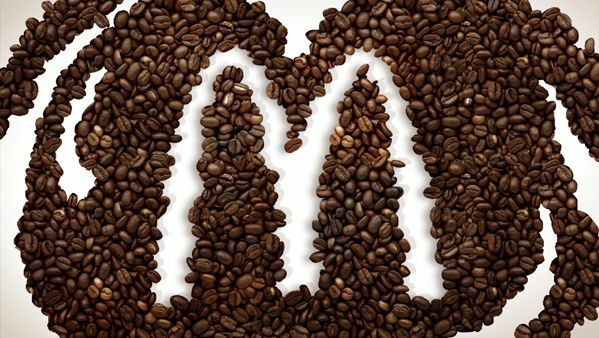 Earlier this month, market watchers noticed McDonald’s had filed with the U.S. Patent and Trademark Office to use its McCafe brand for “ground and whole bean coffee.” This was the trigger for the speculation that the world’s largest fast food chain may start selling packaged coffee in the States as well. But the assumption was denied by a company spokeswoman on Friday. When asked if the company had plans to bring bagged coffee to the United States, McDonald’s spokeswoman Heather Oldani said: “No, not at this time,” according to a report from Reuters. McDonald’s has about 1,400 outlets in Canada.